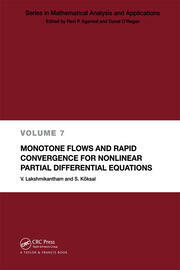 This book is devoted to the study of nonlinear evolution and difference equations of first and second order governed by a maximal monotone operator. This class of abstract evolution equations contains not only a class of ordinary differential equations, but also unify some important partial differential equations, such as the heat equation, wave equation, Schrodinger equation, etc. 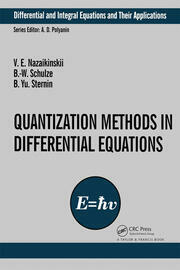 In addition to their applications in ordinary and partial differential equations, this class of evolution equations and their discrete version of difference equations have found many applications in optimization. 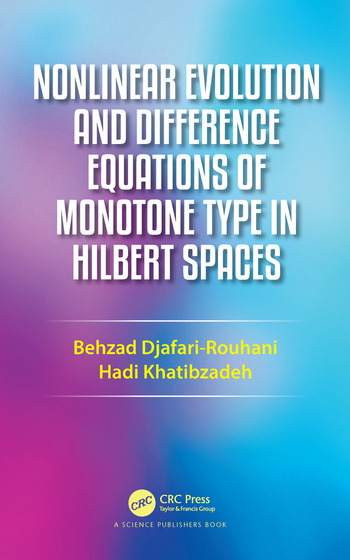 In recent years, extensive studies have been conducted in the existence and asymptotic behaviour of solutions to this class of evolution and difference equations, including some of the authors works. This book contains a collection of such works, and its applications. Behzad Djafari Rouhani received his PhD degree from Yale University in 1981, under the direction of the late Professor Shizuo Kakutani. He is currently a Professor of Mathematics at the University of Texas at El Paso, USA. Hadi Khatibzadeh received his PhD degree form Tarbiat Modares University in 2007, under the direction of the first author. He is currently an Associate Professor of Mathematics at University of Zanjan, Iran. They both work in the field of Nonlinear Analysis and its Applications, and they each have over 50 refereed publications.